The objective was to identify predictive factors for intraprosthetic dislocation (IPD) and to understand how improvements in dual mobility cups (DMC) have helped to reduce dramatically the occurrence of this complication. DM mobile inserts retrieved from 93 hips were divided into three groups: first-generation DMC with IPD (“firstDMC-IPD”), first-generation DMC with over 15 years of implantation without IPD (“firstDMC-noIPD”), and latest-generation DMC (“newDMC”). The predictive factors for IPD based on clinical, prosthetic, radiological and intraoperative characteristics were analysed by multivariate analysis. The surface of each retrieved mobile insert was analysed using three-dimensional CT scan in order to compare their rim wear. Three predictive factors for IPD were found: a high BMI, a wide rough stem neck and a large cup size. Wear of the firstDMC-noIPD inserts was significantly less than those of firstDMC-IPD inserts and significantly more than those of newDMC inserts. For the firstDMC-IPD inserts, the rim’s outer surface wear was significantly greater than the rim’s inner surface wear. IPD is a specific complication related to wear of the DM mobile insert due to failure of the liner’s retaining rim, especially from the rim’s outer surface. This long-term issue is different to the early traumatic complication, which can happen after an attempt at closed reduction of a DM THA dislocation. Recent modifications in the design and the coating of contemporary DMC and femoral stems, as well as improvements in the mobile insert itself, seem to corroborate our assumptions about the IPD mechanism and contribute to the quasi-disappearance of this complication. The original version of this article was revised: The published online version contains mistake in the author list for the author name “Di Iorio Alexandre” was incorrectly presented. 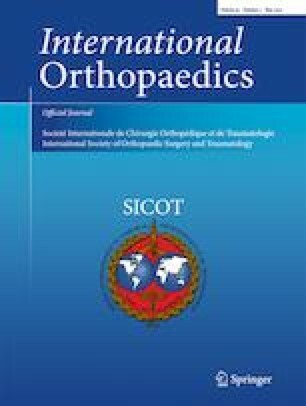 We thank SERF (Décines, France) for giving us complete data on the implants used in this study (blueprints, 3D models, manufacturing tolerances). We also thank Clement Neri, for his help to create the IPD predicting model. Thomas Neri, Bertrand Boyer and Jean Geringer are consultants for SERF (Décines, France). Rémi Philippot and Frédéric Farizon receive royalties from SERF (Décines, France). Jacques Caton is consultant for Group Lepine (Genay France).